On an early afternoon in 2015, several days before Christmas, Caswick Naverro was driving from New Orleans to nearby Morgan City. Instead of going to celebrate with his family, though, he was headed to a funeral. His closest cousin, Josh, with whom he lived for much of his youth, who was like a brother, had been shot in the head and killed the week before. Caswick estimated that, in his 21 years, he’d been to more than a dozen funerals. The news about Josh, who was just 23, devastated him. Caswick was confused and in denial, but also filled with anger. 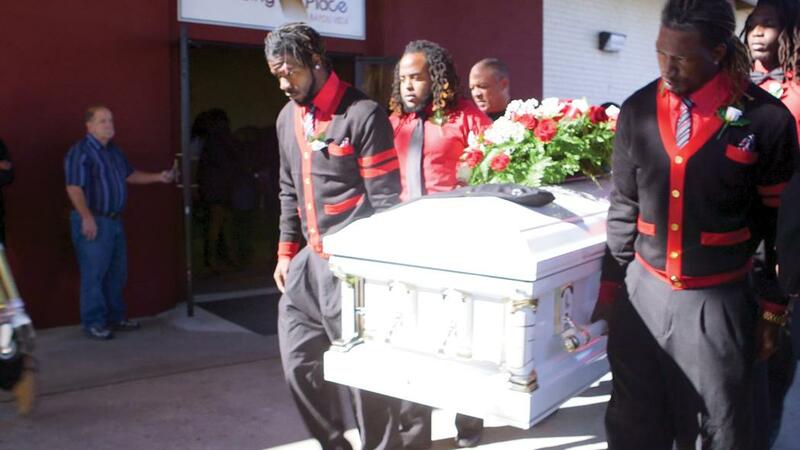 The next day in Morgan City, mourners packed the church where Josh lay at rest, many of them approaching the ornate white casket to touch his shoulder one last time. Children milled at the periphery, unsure how to behave or navigate the deep well of grief and disbelief in which they’d found themselves. Nationally, gun violence remains the leading cause of death for young African American men. In 2015, the year Caswick’s cousin was killed, 13,463 gun homicides occurred in the US — triple the number of US troops killed in the entire war in Iraq. Nearly a third of mostly young and black Atlanta respondents interviewed in a study experienced symptoms consistent with PTSD. Gov. Edwards' state budget proposed drastic healthcare cuts that will impact mental-health services and substance-abuse treatment. A young mother nursed and rocked her infant, staring straight ahead as the pastor, a tall, stocky man, finally closed the casket and ascended the pulpit. Caswick was too far away to hear his words. He stood outside smoking a cigarette in the parking lot, wearing a white T-shirt emblazoned with his cousin’s image. He put out the cigarette and climbed in the back seat of a parked car, with two friends sitting up front. “I’ll pay my respects, but I can’t go inside,” he said softly. With the windows rolled up, they smoked weed while Caswick stared out at the clear day or down at the funeral programs in his lap. Josh was among 13,463 gun homicides in the United States that year, triple the number of American troops killed in the entire war in Iraq. A large share of these deaths occur in communities like the one Caswick grew up in—poor, black and brown neighborhoods in cities such as Baltimore, St. Louis, Detroit, and Memphis, where violent crime rates have remained persistently high despite a steady drop elsewhere in the country. Nationally, gun violence remains the leading cause of death for young African American men. Briggs was interviewed for The VICE Guide to Right Now about his story on trauma and PTSD among young urban men of color. It’s now widely understood that soldiers returning from war zones are at risk for post-traumatic stress disorder—a mental condition that may develop in people who’ve experienced shocking or terrifying events, and whose symptoms include intense nightmares, intrusive thoughts, hypervigilance, and depression. Much less recognized or explored is how the stress and trauma of exposure to violence radiates through communities right here in the US. In one of a comparative handful of federally funded studies on the subject, researchers in Atlanta interviewed more than 8,000 urban residents, mostly young and black. Nearly a third of respondents experienced symptoms consistent with PTSD, a rate comparable to that of combat veterans who fought in Vietnam, Iraq, or Afghanistan. Unfortunately, residents of these communities are much less likely to receive the support and care necessary to cope with PTSD. 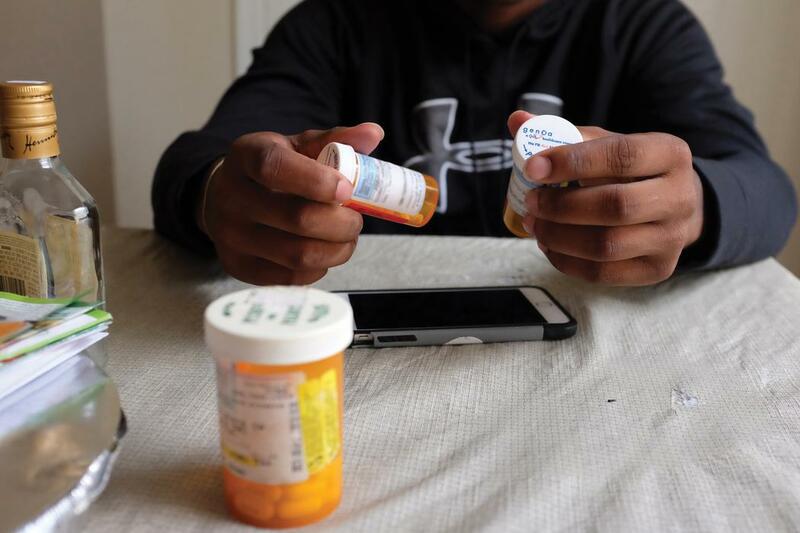 Racial disparities in access to mental healthcare in the US are stark: Studies have found that black people receive far less mental healthcare than whites, and they are more likely to live in an area with limited access to care. Far too often, young men like Caswick are left to struggle on their own. Caswick sits at home in an apartment in New Orleans. These themes ran through all of my conversations with Caswick—the nightmares, the depression, the outbursts of anger, the self-medication. As I got to know him over the course of many months, I began to see his story as a window into a vast, undiagnosed epidemic of PTSD in communities of color plagued by violence. Caswick was not yet ten years old when he saw his first body. One afternoon, he and his cousin Trayvon, or “Boogie,” were exploring some empty lots in the neighborhood when they noticed a pungent, unfamiliar smell coming from an abandoned house. Pallbearers carry a coffin in Morgan City at the funeral of Caswick's cousin Josh, who was shot and killed at age 23, in December 2015. The boys skirted the house cautiously before entering. Inside, they discovered a man lying curled up on a floor, with two gunshots to the head. More exhilarated than scared, Caswick and Boogie poked around the body and then retreated, waiting to see what would happen. Several hours later, they watched as an ambulance and police cars arrived, signals blaring and lights flashing, and officers entered the house. Caswick entered the world of New Orleans at its most violent: The year he was born, 1994, marked the most homicides in the city’s history, at 424. 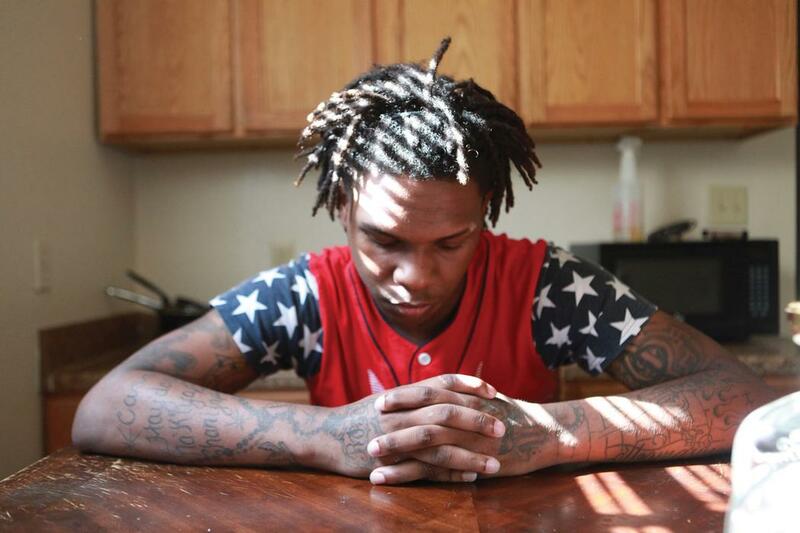 He was the third of five siblings, four boys and one girl, raised by a single mother in the Magnolia Projects—known for its gang activity, rampant drugs, and frequent homicides—in the neighborhood of Central City. Growing up in this kind of environment can affect someone for the rest of his or her life, according to public-health experts. In the 1990s, the CDC and Kaiser Permanente partnered on a landmark study of more than 17,000 individuals, looking at the connection between adverse childhood experiences (or ACEs), including household substance use, neglect, physical abuse, or parental incarceration, and childrens’ long-term health. The more ACEs someone has—the higher their ACE score—the higher their risk of depression, drug use, and such health problems as diabetes and heart attacks, which disproportionately impact communities of color. Caswick didn’t know his father, who had children by different mothers in Louisiana, Jamaica, and Haiti, none of whom Caswick can remember meeting. He had a reputation as a big-time drug dealer, and the word was he was killed in the streets, though Caswick doesn’t know exactly how or when. His mother, afflicted with lupus, struggled to feed and house her kids. Caswick and his siblings would crash at other people’s homes for weeks or even months at a time. 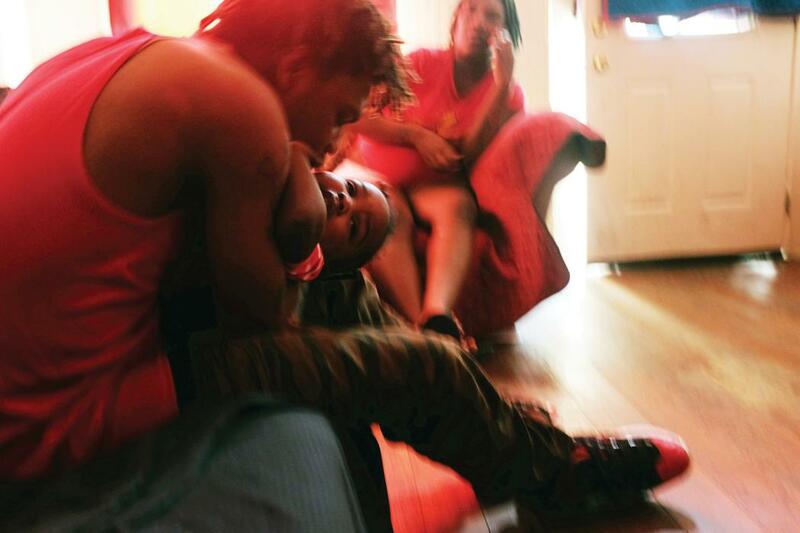 When Caswick was eight, his mother took the family back to Morgan City, where she was from. He went to live with his paternal grandparents when he was around ten years old, and soon afterward stayed with an uncle. That uncle, he says, wanted to “make a man” of him. “He ain’t really stop me from being in the streets or selling drugs,” Caswick recalled. “He was more like, ‘If that’s what you want to do, you know the outcome of it, so you just gonna have to deal with it when it come to you.’” Caswick did know where that path led: His two older brothers were already in and out of jail for dealing; one would end up at Angola on a life sentence for murder. Caswick remembers watching movies as a child, the ones with the “good” kids—almost always white—with nice homes, two parents, fancy watches, and pretty girlfriends. In his world, the kids with the nice cars and pretty girlfriends mostly sold drugs. Caswick’s oldest brother tried to warn him away from the streets, but then he’d come around with fist-size stacks of bills. By the time he was 11, Caswick was in the game. “I started off with a little weed, then I started doing pills. My big homie started giving me cocaine and told me I could make more money selling it. That stuff gets in your pores, and you start getting a taste for it, and eventually I started using it.” Eventually he found his way to heroin and meth, too. As his addictions grew stronger, he was drawn in deeper. Robbing people in his own community, selling crack, carrying a gun. He’d always told himself that if he ever sold drugs he wouldn’t sell them to grandmothers, kids, or pregnant mothers. At the start of his freshman year, Caswick was hanging out with some guys from the neighborhood, goofing off while watching a second line procession, when some kids from another neighborhood started an argument that led to a full-fledged brawl. As he tried to break it up, someone from the other crew pulled a gun and fired. Caswick was shot in his left leg. He was treated at the hospital and returned to school the next day. Caswick and his girlfriend at the time, Rose, play with their daughter Cassidy. It seemed to Caswick some student was shot weekly. Some of it was drug-related, some simply due to being in the wrong place at the wrong time. Eventually he stopped going to funerals. He couldn’t deal with the crying mothers, aunts, and sisters; avoiding them spared him from experiencing some of his own grief. Instead, he had nightmares in which people were trying to kill him. New Orleans councilman Jason Williams, a practicing defense lawyer and former judge, has seen how violence and trauma wreak havoc not only in the lives of victims and their families but their broader communities. The complex hardships present in places like Central City deepened after Hurricane Katrina made landfall on August 29, 2005, a few months shy of Caswick’s 11th birthday. While his mother and siblings were relatively safe in Morgan City, Caswick stayed in New Orleans with his uncle. “All the assistance goes to the victims and their parents or caregivers,” Williams said. “They don’t go to the young children who might witness it. What you find is that these kids have to go back to school the next day as if nothing happened. Even before Katrina, New Orleans had trouble meeting its residents’ mental-health needs. The hurricane compounded the problem. Of the roughly 200 psychiatrists working in New Orleans before Katrina, only a few dozen returned in the months immediately after, according to a government report. Louisiana’s governor at the time, Bobby Jindal, in a drive to cut spending, privatized a number of public hospitals and outpatient programs; New Orleans Adolescent Hospital, which had provided mental-health services, was shut down in 2009. The school system, especially teachers and counselors, became the overwhelmed first responders for students dealing with trauma, depression, and behavioral issues. The State of Louisiana still ranks 41st in the country for access to mental healthcare, according to Mental Health America, an advocacy and policy organization. In his state budget released in January, Governor John Bel Edwards proposed drastic healthcare cuts that will impact mental-health services as well as substance-abuse treatment. Further, the federal tax bill, passed in December, is expected to leave millions more Americans uninsured, without access to mental healthcare or addiction care. “We have moved into a frightening position where increasingly as a society we seem to be leaving individuals—particularly young men—behind, because of a lack of belief or understanding that the conditions they face are as serious as they are,” said Paul Gionfriddo, the CEO and president of Mental Health America. 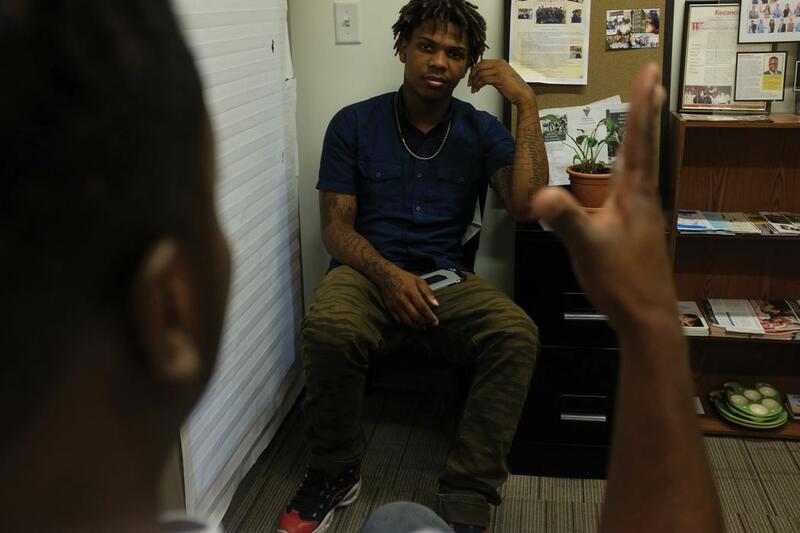 Caswick meets with Onassis Jones at Café Reconcile, which provides counseling and job training to young people exposed to extreme poverty and violence. Over the past three years, Mental Health America has run an online mental-health-screening program. Last year, more than 4,000 African American men under the age of 35 volunteered to participate in a screening for depression. Three-quarters of these participants said they experienced moderate to severe depression. Eighty-three percent said they’d never received a mental-health diagnosis before. More than one in five expressed interest in seeking treatment. “A problem we have with young men of color, which they face more than any other group, is the belief that what they’re going through is just ‘bad behavior’ and not symptomatic of deeper issues,” Gionfriddo said, pointing to his organization’s research. By his junior year, Caswick had been suffering from insomnia for years. When he did sleep, the terrifying nightmares inevitably appeared. His anxiety and depression were so intense that one day at school he overdosed on Triple C’s, an over-the-counter cold medicine. When he regained consciousness, he refused to speak, like a person afraid to scream out of fear he would never be able to stop. A school counselor at ReNEW, Sara Becker, shepherded him into care, including hospitalization in a mental institution. After three months, he was discharged and found residence at Covenant House, a global nonprofit that supports homeless and trafficked youth. He was still living there when he met and fell in love with a young woman named Rose while out at a bar one night. Three years older than Caswick and a single mother of three, she felt solid; he wanted to be a father figure for her kids. By his senior year of high school, in the fall of 2013, he had moved in with her. 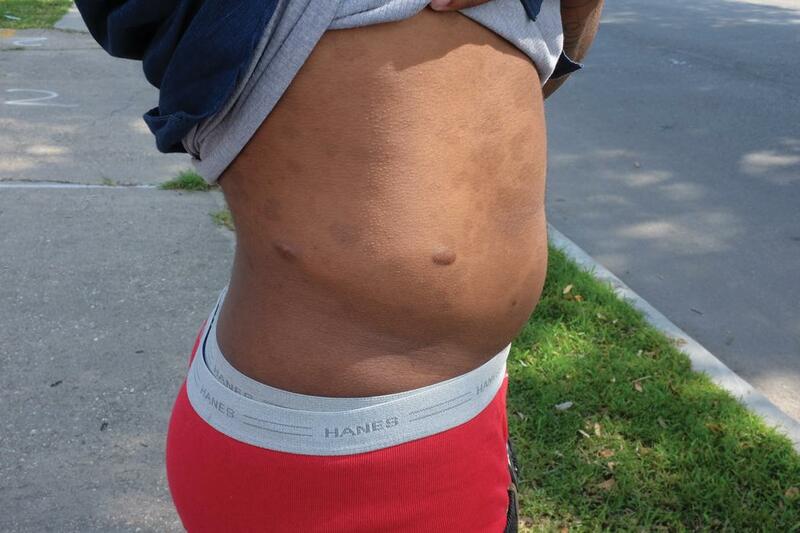 Caswick visits the corner where he was shot in 2013, at age 18, and shows the scars where the bullet entered and exited his body. American cities have been trying to break this cycle of violence for the past four decades, from “Broken Windows” policing in the 1980s to the imposition of mandatory minimums for drug offenses during the crack cocaine epidemic of the 1990s. Such tactics responded to violence and addiction only punitively, fueling the over-incarceration of black men and creating a school-to-prison pipeline in neighborhoods that were dense with crime—and trauma. More recently, local officials have tried treating violent crime as an epidemic, something whose spread can be contained or even prevented. In 2011, when Caswick was a sophomore, New Orleans mayor Mitch Landrieu began to pilot NOLA for LIFE, which enlisted law enforcement, hospitals, and community organizations to drive down New Orleans’s murder rate by utilizing a range of new criminal-justice and public-health approaches. In addition to cracking down on violent gangs, NOLA for LIFE launched a wave of initiatives aimed at violence prevention. Based on a model pioneered in Chicago, CeaseFire NOLA employs “violence interrupters” to de-escalate incidents and teach conflict resolution. The city also organized “call-ins,” nighttime conversations at the courthouse with gang members, those on probation, and other at-risk youth about the legal risks of criminal violence, and the alternatives available. Other programs addressed the wider trauma of violence with therapy and other supports for young people and their families. There were programs to provide job training and economic opportunities. 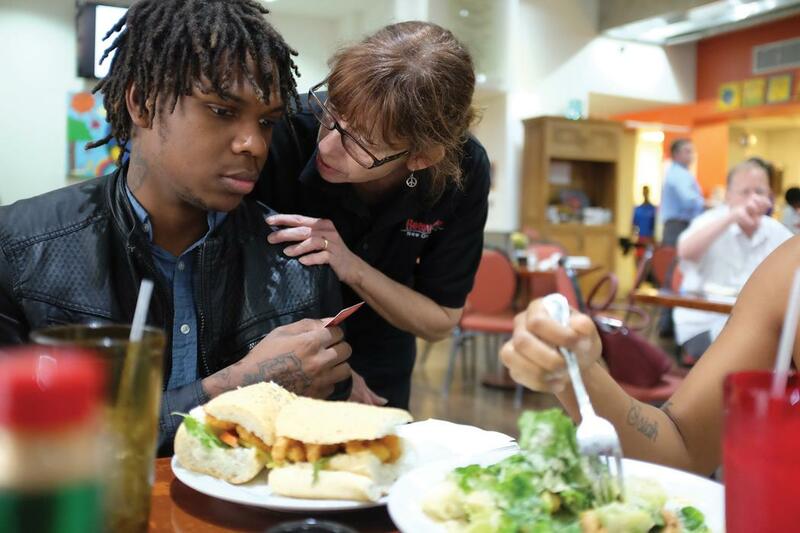 One local establishment, Café Reconcile, combined restaurant training with counseling services. And there were groups formed by community members to heal and advocate for peace, like the Mothers’ Circle, for New Orleans mothers who had lost loved ones to gun violence. It’s hard to pin down causality, but the broad-based approach of NOLA for LIFE, building on existing programs throughout the city, seemed to work. Within four years, New Orleans’s homicide rate fell 18 percent, reaching a 40-year low in 2014. Even in Central City, shootings fell by 15 percent. But NOLA for LIFE hasn’t solved everything. The limited placement spots in intervention programs like Café Reconcile and Camp Restore reach a fraction of the hundreds of New Orleans families impacted by gun violence each year. Since 2014, call-ins have become less frequent. In the past three years, shootings and deaths have been back up. The city remains in the top five in homicides per capita nationally. And for individuals still struggling day to day, one misstep, or simply being in the wrong place at the wrong time, can set someone back—a cold lesson Caswick has learned more than once. By the fall of 2013, months before graduating high school, Caswick had lost more friends and relatives to overdoses and gun violence than he could remember. The scar on his leg was a regular reminder of his own close call. But he had found a steady job at a Winn-Dixie supermarket and settled with Rose and her kids in East Bank, in a residential neighborhood packed tightly with single-family homes. In October, Caswick was picking up diapers at a gas station with his cousin Randy after work when they ran into a family from the neighborhood who had gotten into an argument with Rose earlier that day. Now one of them had a gun. The bullet tore through Caswick’s side and hit Randy’s pelvis. After a few hours in the UMC Hospital Center trauma ward, Caswick was stitched up and sent home. As if he could now heal. As he walked out the door, he saw a man he didn’t recognize out front talking to his neighbors, looking for him. “I walked right straight into him, and they was like, ‘There he go right there,’” Caswick recalled. The stranger turned out to be Nicholas Holmes, from CeaseFire NOLA. CeaseFire keeps a team of responders in UMC’s trauma ward to identify gunshot or stabbing victims who might seek revenge and intervene before that happens. Holmes had arrived just in time. 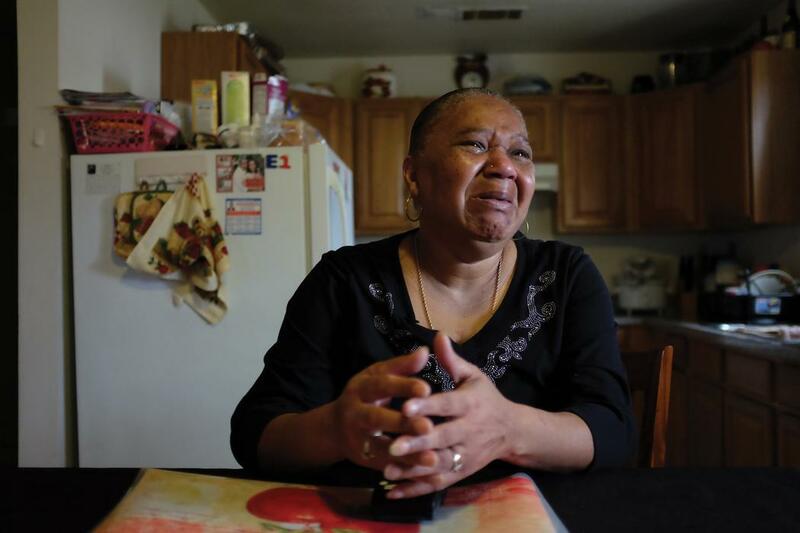 Patrina Peters, at home in her kitchen, breaks down while describing the loss of her son Damon to gun violence. While he was home, the fear and anxiety in the children’s eyes hit him harder than the physical pain. It was their first time seeing someone they loved shot. Being shot again gave Caswick a support network he’d never had through all the other traumas that have pocked his short life. After eight months of working with Big Nick and CeaseFire NOLA, they referred him to Café Reconcile, near CeaseFire’s offices in the Garden District. Reconcile’s staff includes social workers, an educational specialist, a mental-health worker, and an employment coordinator, and Caswick was able to receive counseling there. When Caswick was 20, he and Rose had the first of their two daughters together, Cassidy. The next year, he found a paying position with Camp Restore, where he learned videography and photography skills. When I stopped by Reconcile, Onassis Jones, a mental-health specialist, who’s known as Mr. O, sat leaning back in his chair. It was during the Tuesday lunch rush, and the glass doors of his office were partially closed as he read over files and answered emails. A pastor at Christ Temple Church of New Orleans, Mr. O estimates that he’s lost more than 35 young people to homicide since Hurricane Katrina. Despite the citywide drop in crime, shootings and murders remain a regular part of life in his community. In Caswick’s world, even when things feel stable, the losses never seem to end. Like what happened to Leonard, a high school classmate who lived in the old neighborhood. Leonard caused more than his fair share of mayhem when they were teenagers, fighting, stealing, and robbing people. Once, Caswick had to step in and keep someone from blowing Leonard’s head off for stealing his gun. Leonard was outside washing his mother’s car, and the guy walked up and put a gun to the back of Leonard’s head, in broad daylight. It took Caswick half an hour to talk him down. Right when Caswick was finding his way through Café Reconcile, CeaseFire, and Camp Restore, Leonard and his entire family were killed by his mother’s boyfriend. Among the dead was Leonard’s sister, Trisa. “I was in love with her,” Caswick recalled. “We used to sit outside late nights and talk about her problems, then we’d talk about mine. She tried to run when the shooting started, but the boyfriend chased her and shot her.” Caswick’s auntie was there when the bodies were found. Then, in the fall of 2016, Caswick was on his way home from work when an NOPD patrol car flashed its lights behind him. It was a moment familiar to most young men of color in America, especially to dark-skinned men like Caswick. Caswick takes prescription medications to manage anxiety and depression. An officer approached the driver’s side window, his hand, as Caswick recalls, on his unlatched holster, saying he’d stopped Caswick because his headlight was broken. Then the officer claimed he smelled marijuana. He and his partner never did find any marijuana, but Caswick alerted the officers that he had a gun, legally registered to his girlfriend. They asked Caswick to exit the car and spread his legs; according to the police report, bags containing 91 methamphetamine pills fell from his pant leg. Caswick was charged with illegal gun possession and possession with intent to distribute and faced two years or more of prison. But Caswick says he just used the pills to stay awake. The nightmares had gotten so bad that he tried to avoid sleeping more than he had to. 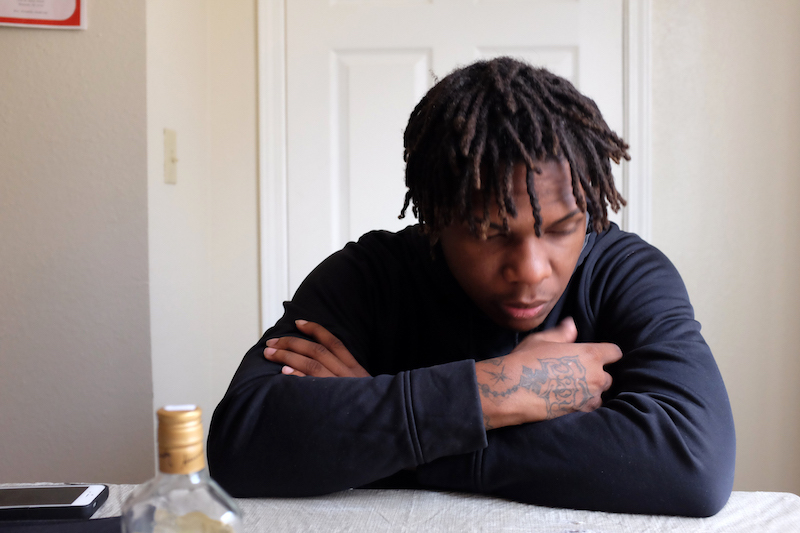 Over the next month, Caswick worked with a local youth organization called ReThink and his public defender, Joseph Roam, to develop a case for leniency. They compiled a slender blue binder that told a different story about Caswick, not the story of selling to zombies, stumbling upon dead bodies, and facing down guns. It contained his hard-won diploma from ReNEW, photographs of him having lunch with President Barack Obama while at CeaseFire, a city council citation for helping to rescue some abandoned kids, and letters of reference from social service counselors. Caswick hoped the judge would “read it and see what kind of person I am, hopefully looking at me in another light.” And even though he hated to have his mental-health issues exposed before a judge, he also confessed to Roam that he had taken the drugs to cope with his nightmares. The Orleans Parish Criminal District Court sits next to the city jail in downtown New Orleans. On the day of Caswick’s hearing, the third-floor courtroom filled steadily; by 8 AM, the gallery was standing room only. Save for the well-dressed attorneys, the uniformed corrections officers, and law enforcement sitting in the front rows, nearly everyone was a black or Latino male defendant waiting for his case to be heard. Caswick arrived 35 minutes late, dressed in camouflage pants and a black hoodie. Roam had been waiting outside the courtroom since the building opened, and his frustration was obvious. Nevertheless, within 20 minutes he finalized an agreement: compulsory drug court, five years’ probation, no jail time, and an expunged record if Caswick completed drug court and avoided arrest while on probation. Caswick thanked him and headed down the stairwell to begin life on probation. He’d avoided jail, but drug court would bring its own kind of burden. It wasn’t just the thrice-weekly appointments. It was that Caswick could no longer self-medicate, as he’d done since he was 11. There were also financial pressures: bills to pay for the car, the house where he lived with his new girlfriend, Jasmia, whom he’d met after breaking up with Rose; money for his and Rose’s kids, for Jasmia’s kids, for his mom, for the drug-court fees. And his arrest and court appearances had cost him his job at Domino’s. Following his sentencing, Caswick was able to find a new job at a restaurant cooking and doing dishes. It was steady money, and, most importantly, it offered a routine. Working with court counselors, he even got on a prescription-drug regimen that allowed him to sleep at night and lessened his anxiety and depression during the day. For the first time, he had consistent one-on-one counseling. He was providing for Rose and the kids, and with Jasmia working at Burger King, the two were able to save enough for a splurge—a trip to Houston to visit her kids, who were living there with an aunt. He didn’t know where his path might lead, but at least he was living right, not robbing people, stealing, or selling drugs. Caswick talks to a staffer at Café Reconcile. When I last saw Caswick, in late January, he was living in a trailer on his mother’s property in Morgan City, with Jasmia, his daughter Cassidy, his mom, and her husband. We went for lunch with Jasmia at a Mexican spot off Highway 90 called Tampico’s. Over a plate of nachos, Caswick casually mentioned that a couple he knew in New Orleans had been killed that morning, both shot in the head. He told me between bites, barely glancing up as he scrolled through his phone in search of a photograph of the slain victims. Even in this little town on the banks of the Atchafalaya River, there was no insulation from violence and trauma for Caswick. Since moving to Morgan City, he’d been going to church regularly at Bayou Vista Community Fellowship across the street; the pastor even helped connect him with potential work doing maintenance and home repairs. His drug court sentence was reduced by nine months, meaning it will end this fall, which Caswick attributed to his renewed faith in God. He believes if he stays close to the church, and God, “things will happen for me”—he’ll make it. As I turned onto Highway 90 back to New Orleans later that day, I had one thought on my mind: Caswick will turn 24 this November. This project was reported in partnership with the Investigative Fund at the Nation Institute, with support from the Puffin Foundation. Additional reporting by Andre Lambertson. Jimmie Briggs is is a documentary storyteller, writer and advocate for racial and gender equity. Andre Lambertson is an award-winning photojournalist, and filmmaker committed to documenting stories of transformation.